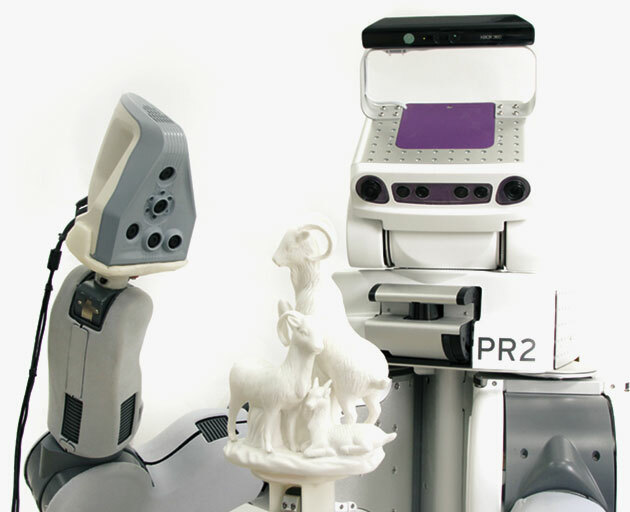 ​Along with manufacturing professional 3D scanners, Artec also develops smart 3D scanning software, designed to meet the needs of both new and experienced users alike. ​The result of extensive, ongoing development of 3D data capture and processing, this comprehensive 3D imaging software includes an Autopilot mode that automatically chooses the best algorithms for captured data to develop the most accurate 3D model. With high precision always the number one priority, both the Autopilot and manual mode can be used to create manufacture-ready 3D models. Easily capture any object and process the data from your scan with the use of powerful automated 3D digitization technologies. Wide range of advanced tools and settings to ensure full control and flexibility for experienced users. 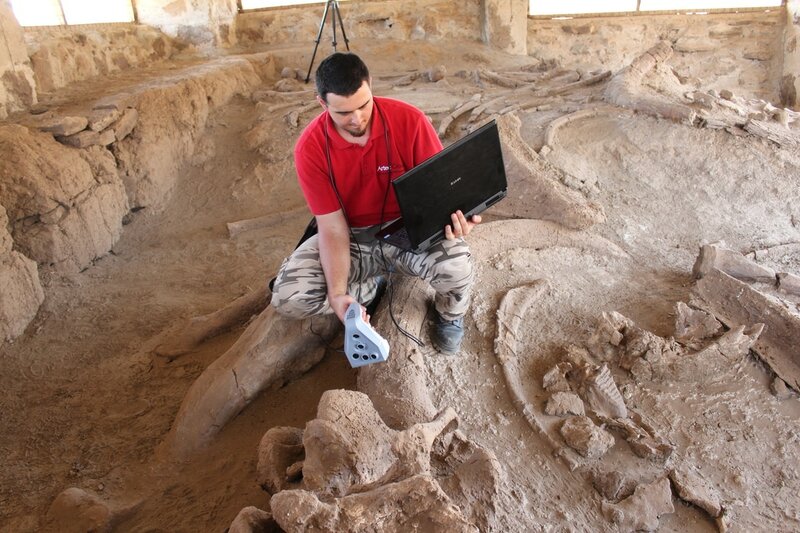 Scan absolutely anywhere and anytime with a smart combination of Artec’s 3D scanners and a tablet or a lightweight computer. Artec Studio 11 provides a convenient way to export a 3D model directly into Design X and SOLIDWORKS, making the scan to CAD workflow faster and easier than ever before. The Ultimate edition of AS 11 is also compatible with popular 3D sensors, such as Kinect for Windows and the Intel RealSense, making 3D scanning easy and affordable for everyone. 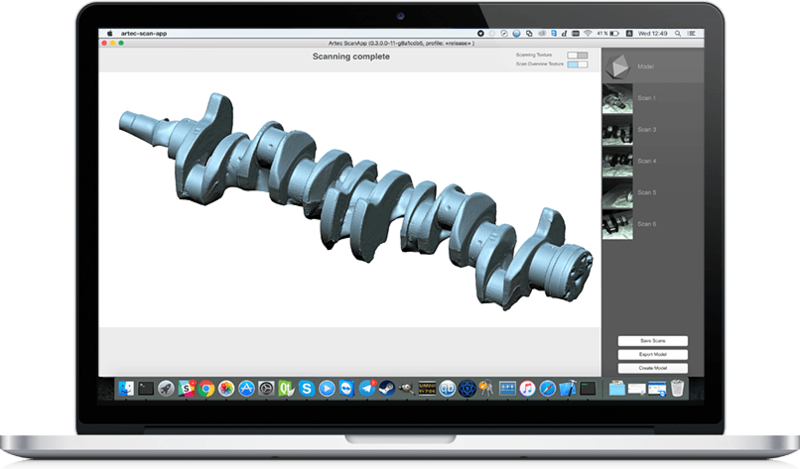 ​Complete 3D scanning software for Mac users. Easily create professional quality scans with this Mac OS program. Developed specifically for Apple computers, this app shows a preview of the 3D object being captured in real time, and features an ergonomically designed interface for enhanced ease of use. 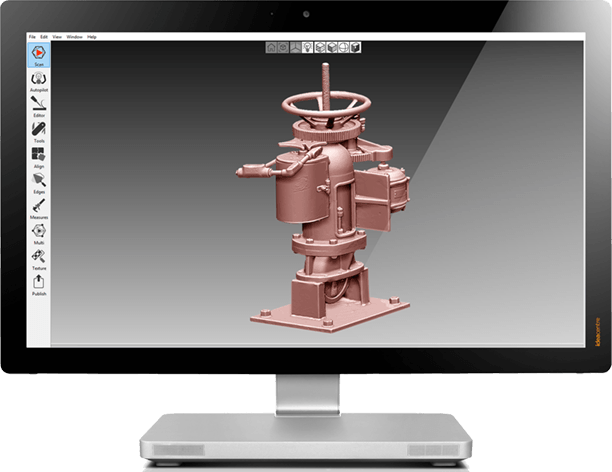 ​Develop your own 3D scanning application to capture and process data, or integrate 3D scanning into your own software with a range of powerful SDK tools. ​Create feature-based, editable solid 3D models in this leading reverse-engineering CAD software. Perfect for using 3D objects in industrial engineering, design, architecture and more. 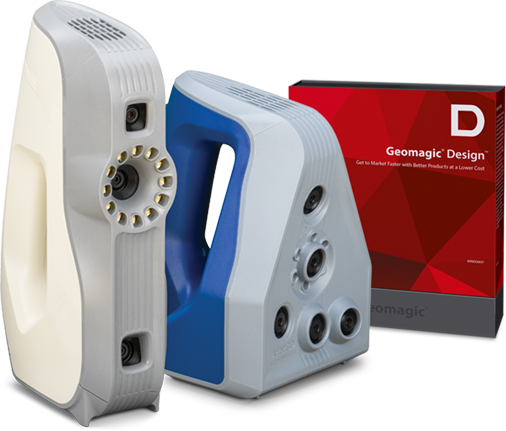 Sign up at my.artec3d.com and get your free 30-day trial version of Geomagic Design X. Once registered, log in to your account and download the Geomagic Design X trial in the My Applications section. ​Discover new and exciting opportunities in research and education with our educational packages. 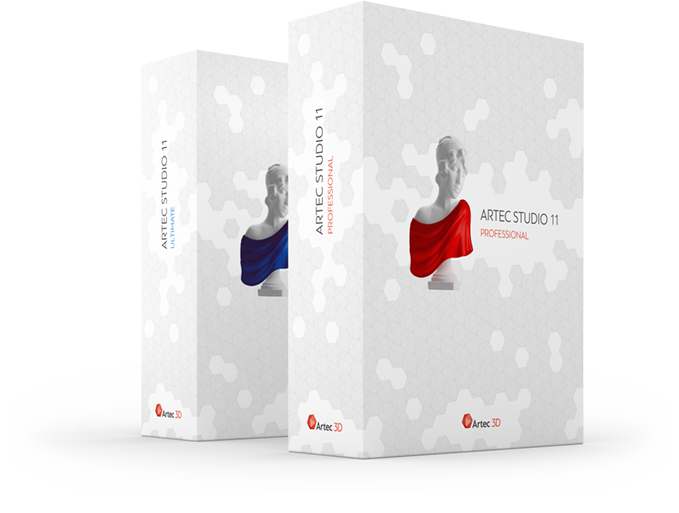 Get an Artec 3D scanner and software at a special discounted price!